Now that’s a real gem. 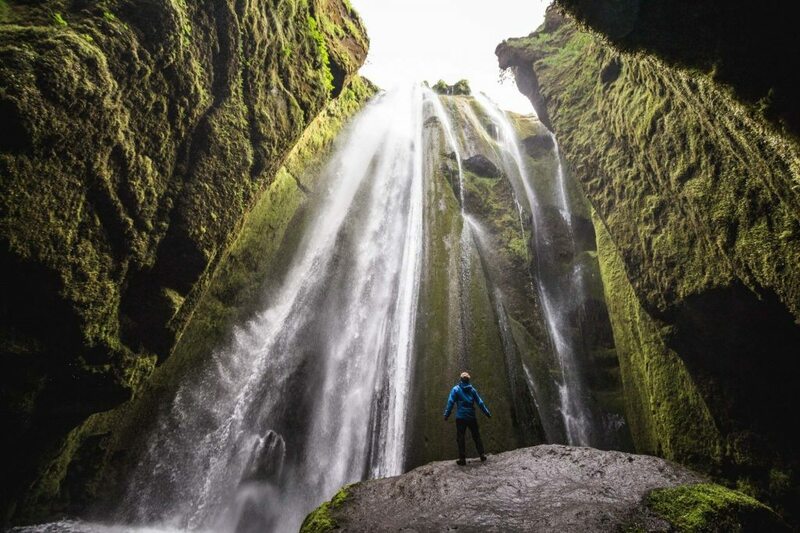 Hidden in the hills of the famous Seljalandsfoss, Gljúfrabúi, like its name, is a mystical yet fairytale like fall that evenly drizzles down in its gorge. The name Gljúfrabúi basically means “the one that lives in the gorge” and that’s very descriptive. It’s epic green colors in summer and winter paradise look in winter has had people visiting for centuries and no one seems to mind that it’s unreachable without getting a little wet. Just be careful with your camera! Þjófafoss or the thief’s waterfall is located in the east side of Merkurhraun Lava field in the southern part of Iceland. Its water runs from the powerful Þjórsá river which is also the longest river in Iceland about 143 miles or 230 kilometers. The waterfall has the most perfect viewing platform from where you can enjoy the beauty of it. The waterfall is pretty easy to find but you will need to drive on gravel. Be prepared or just put on your hiking shoes. Take Ring Road 1 from Hella heading east in the direction of Selfoss. After a few minutes drive take the exit to road 26 in the direction of Galtalækur. After about 50 km drive on the road, you will see a sign marked Þjófafoss. The track from road no. 26 to the waterfall is about 5 km long and made from gravel so only accessible by 4×4 wheelers and rentals with permission to drive on F-roads. My all-time favorite! I still can’t wrap my head around why it isn’t visited more. There are two ways to reach this twin waterfall. One is through Hvolsvöllur, driving into Fljótshlíð the other is via gravel road past the mountain (or hill) Stóri-Dímon. 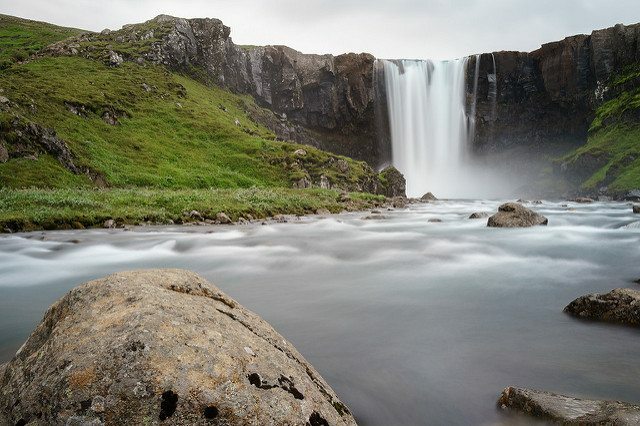 When you first see it, it’s a small waterfall, you can walk behind it and see Eyjafjallajökull glacier volcano through its stream or you can fill your water bottle with the most delicious water. But this is only the second drop of the falls. If you head further into the gorge you will see the original one, falling much higher. 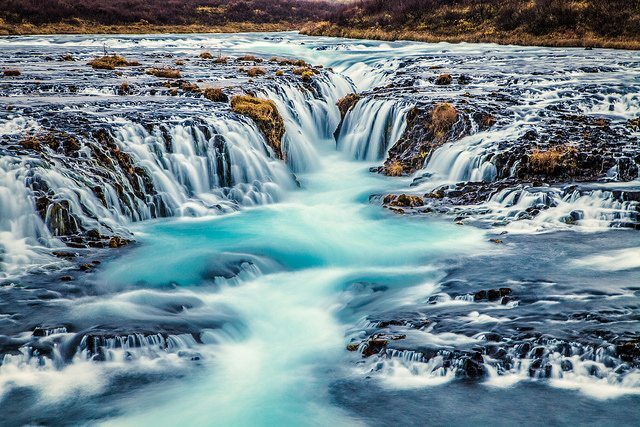 The name Gluggafoss means window waterfall and you will soon see why. The cliff the waterfall spouts from is made from tuff which is quite soft so the water stream was able to carve little “windows” into it and now the water spouts through 3 different “windows” in the cliff. It’s gorgeous and often a rainbow adds the cherry on top to this magical place. 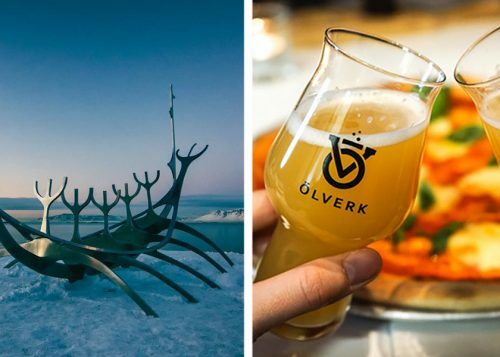 Worth the visit, no doubt! One of the “Instagram” waterfalls that is pretty hard to reach but everyone makes seem so easy. 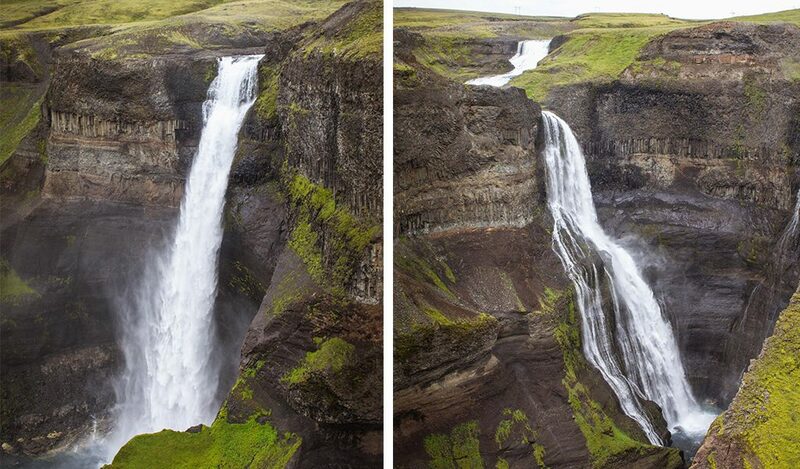 This waterfall is located in the Icelandic highlands and not reachable by anyone without a 4×4 jeep. It drops 20 meters high from the mighty Skálfandafljót river and beautifully closes it’s basalt column background. The water is unusually white and the basalt columns dark so the contrasts are stunning and extremely photogenic! 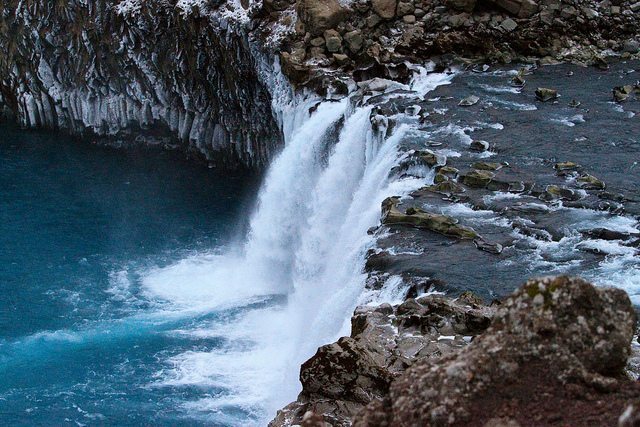 Aldeyjarfoss is located in the Northern parts of Iceland and is best to visit if you are near Akureyri, Húsavík or lake Mývatn. Still, it is about 90 km from Húsavík, and to reach is can take a couple of hours, but well worth the trip. Aldeyjarfoss is located in the Bárðardalur valley, at the edge of the Icelandic highlands. If you plan on driving there: take the 842 road off the Ring Road between Goðafoss waterfall and Akureyri. This road will then turn into the mountain road, F26, towards the end (this means gravel). 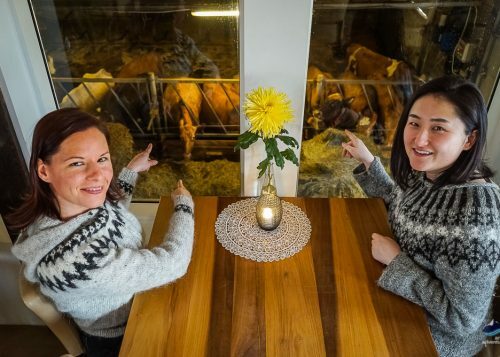 Drive past the farm Mýri and once you reach the fence/gate you are nearly there! 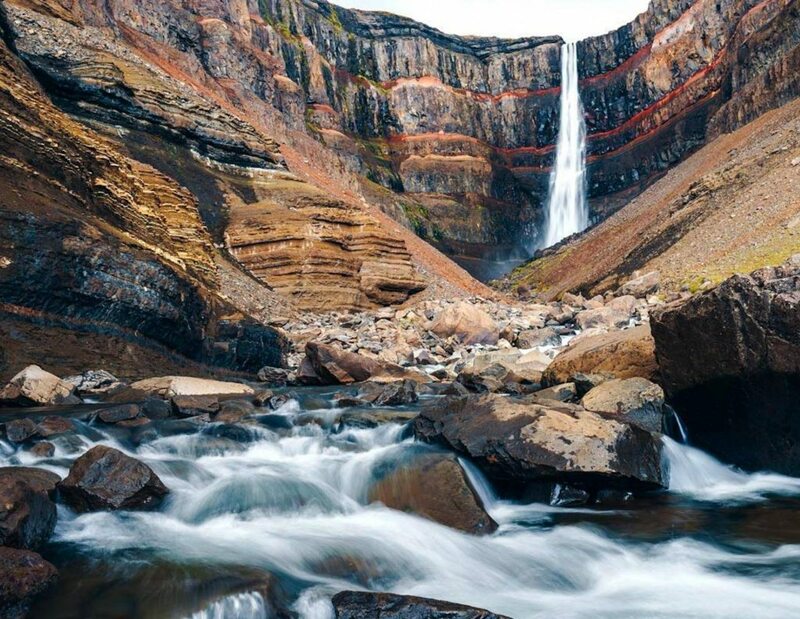 The third highest waterfall in Iceland (at the moment) is Háifoss. The name is pretty descriptive, as hái means high so basically the name it the high waterfall. 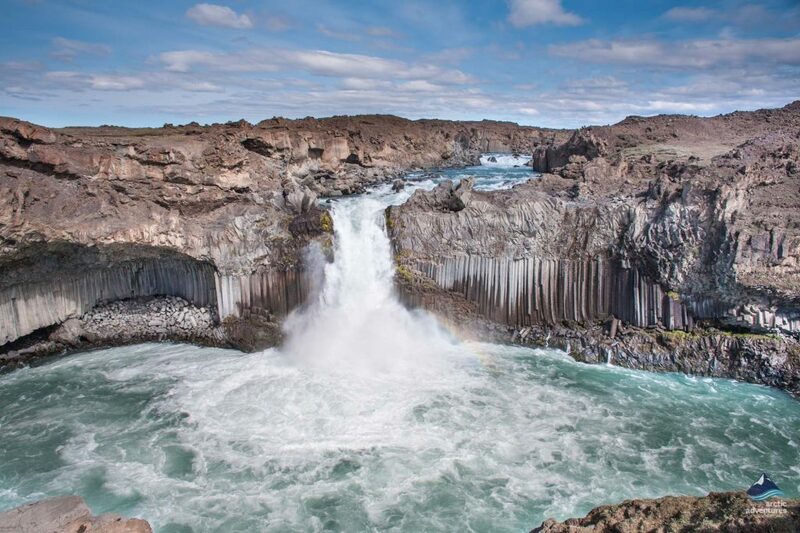 Háifoss is 122 meters high and takes its water from the Fossá river, which takes its water from the before named Þjórsá river. Right next to Háifoss you will find another waterfall Granni (e. neighbor) and together they create one of the most beautiful sights in Iceland. The best view over them is after a bit of a hike but so very worth! Getting to Háifoss is quite easy. From Reykjavík you can drive east n the Ring Road 1 pass the town Selfoss and take a left turn on road 30 until you reach Árnes. Make a right onto road 32 and just before you reach power plant Sultartangi turn left onto the gravel road. It will take you to Háifoss. power plant Sultartangi turn left on a gravel road, which leads to Háifoss waterfall. The drive from Reykjavík is about 134 km (83 miles). Brúarfoss waterfall is a pretty small waterfall but it sure makes up for it in beauty. Prepare for the bluest of blue and white water in the most charming lava setting. 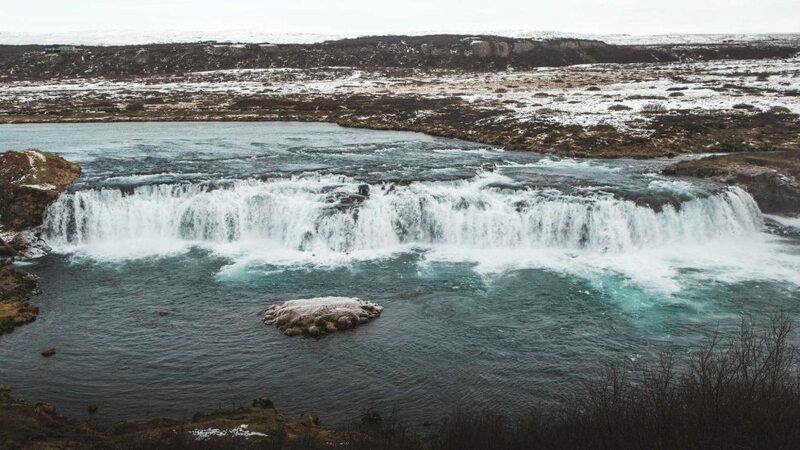 The waterfall’s water originates in the glacial river Brúará which takes its water from the Hvítá river famous for both being an epic playground for River Rafting in Iceland and the home to the famous waterfall Gullfoss. The waterfall takes its name “bridge waterfall” after a stone arch that stood over it acting as a bridge. It is believed to have once dropped from a higher cliff but the powerful water has sculptured its path throughout the years. Brúarfoss waterfall is located about 80 min away from Reykjavík. Unlike many others, Brúarfoss doesn’t have a designated parking space so visitors are recommended to park their cars by the Brúará bridge (on Road 37) and then walk along the river to the waterfall. Update* Budget has been placed towards building a parking lot so soon this might change. One for the brave adventurous souls, these waterfalls are located way up in the highlands and can only be reached by foot. 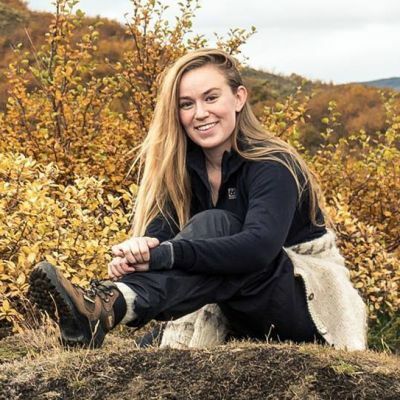 Seeing them is one of the absolute highlights of those who do the Vatnajökull Wilderness trail and to many hike enthusiastic Icelanders their ultimate favorite. 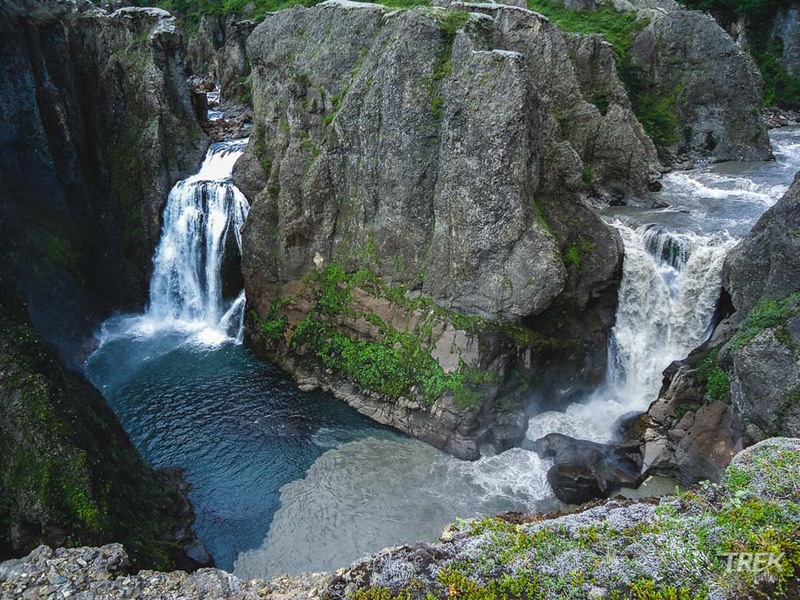 These two waterfalls, which are in two completely different colors unite in this pond called Tvílitahylur (e. The two colored pond) and the beauty of it is staggering! From the pond, the rivers mix and are onwards called Núpsvötn. It’s fed by Skeiðarárjökull glacier and can rise up pretty high and is known to cause flooding especially from the lake Grænalón. The whole area surrounding is otherworldly and the experience like no other! The lesser-known Golden Circle waterfall! 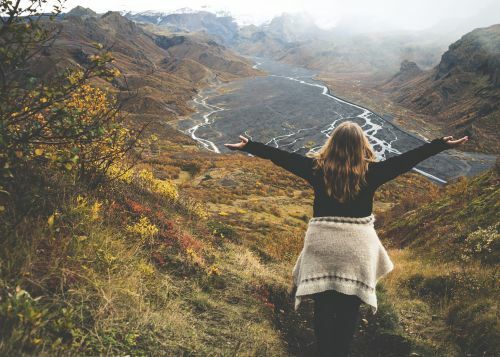 This hidden little gem is for me the perfect add-on to a self-drive Golden Circle. It has a few viewing point and I recommend to take time to explore it from different angles. The water flow of it is quite season depending but it’s always beautiful. Faxi is about 12 km (7,5 miles) away from Gullfoss waterfall and Geysir hot springs, the whole way there are great roads and a good parking lot. In the area are also great picnic spots perfect for a lunch with a view moment! The first on the list from the East fjords in Iceland. Gufufoss or the steam waterfall is located near Egilsstaðir (capital of the East) and Seyðisfjörður village. He is a real charmer, this one! It drops in two separate steps, one being about 6 meters and the second one about 14 meters into a narrow canyon. 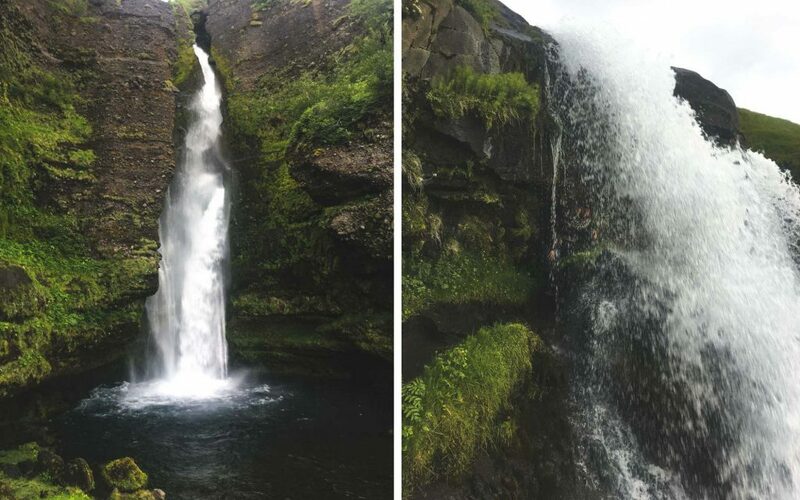 On the drive from Egilsstaðir to Seyðisfjörður you will spot a sign marked Gufufoss, getting close to Gufufoss is very easy and only requires about a 2 min walk. If you continue walking up the stream you will quickly find three more waterfalls so the area is a true waterfall paradise. This stop it perfect for those who are doing the Ring Road and need to release some energy and stretch your legs after a long time in the car. Hengifoss is one of the highest waterfalls in Iceland and known for its multicolored background caused by layers and layers from volcanic eruptions during the Tertiary period when Iceland was being formed. The river that runs from the waterfall runs into the famous Lake Lagarfljót which is the home to the most famous water monster in Iceland the Lagarfljótsormur (Lake Lagatfljot’s monster worm). Visiting Hengifoss you will find a good parking lot but from it awaits a 40-60 min walk to the waterfall. The walk there will go by pretty fast as on the way you will find another waterfall called Litlanesfoss. The whole area is extremely photogenic and will give you numerous photo opportunities. 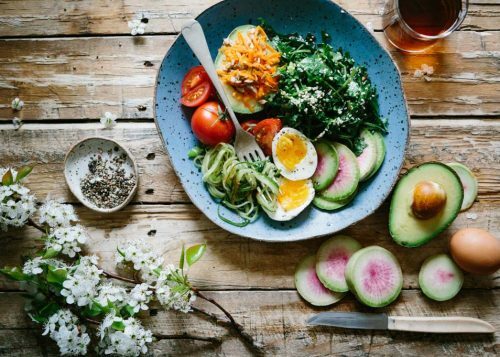 Would you write the list differently? Have you ever seen them?